At the height of the financial crisis, 18 percent of U.S. children lived in poverty, as defined by federal guidelines. That figure is shockingly high for the wealthiest country in the world. Today, however, well into the so-called economic “recovery,” fully 22 percent of American children live in poverty, an increase of 3 million, according to this year’s edition of the Kid’s Count Data Book, an annual report of the Annie E. Casey Foundation. This is just one more piece of data that reveals the recovery as a fiction of the establishment elite and demonstrates that capitalism is failing to meet the most basic needs of the people, even of children. The number of American kids now living in poverty, even as defined by inadequate federal standards, is 16.1 million. On top of that, 14 percent of US children lived in high-poverty neighborhoods as of 2013, a 3-percent increase since the period 2006 to 2010. As the report authors note, “high-poverty neighborhoods are much more likely than moderate and upper-income communities to have high rates of crime and violence, unemployment and other problems.” And “at the same time, the steady increase in children growing up in high-poverty neighborhoods is troubling. The gulf continues to widen between children growing up in strong, economically secure families that are embedded in thriving communities and children who are not. . . . large numbers of children of all racial and ethnic groups are facing economic conditions that can impede long-term success." These numbers are averages, of course. Let us look briefly at some specifics. Perhaps surprisingly, given its status as a world economic powerhouse, California had the highest child poverty rate among U.S. states at 27 percent. (This shows the notion that there is some sort of connection in a capitalist society between economic output and the well-being of the citizenry is absurd.) The Deep South remains a center of child poverty and poverty in general, while the position of children in the Midwest is worsening. 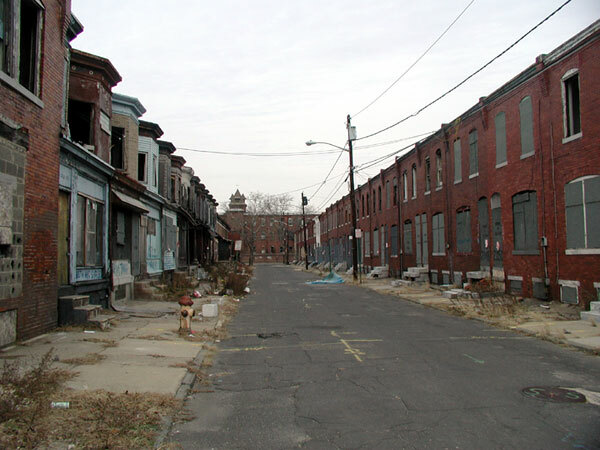 In Detroit, a victim of globalization and decades of treasonous betrayal by outsourcing American capitalist owners, fully 59 percent of children live in poverty, while an astonishing 81 percent live in high-poverty neighborhoods. The situation becomes even worse in light of the well-known fact that, as the Kids Count authors write, “at a minimum, families need an income of at least twice the federal poverty level to cover basic expenses.” When this more accurate measure is considered, almost half of American children are victims of poverty. These appalling figures are not accidental. They are a predictable feature of an economic system oriented toward individual accumulation and based upon only a few in the society owning the means of production while everyone else must sell their labor to them in return for what they need to survive. The master rarely cares for the slave, or even for the children of the slave. Using their superior position economically and politically, the ruling class naturally works to accumulate more and more, and so gains an ever more secure grip on power. We see this in the skyrocketing rates of inequality, the imposition of devastating austerity on working people worldwide, the attacks on worker’s rights in the name of global competition, and the destruction of jobs and living standards as the capitalists insatiably seek profits at the expense of ordinary people and families. Nor does the real economy (as opposed to the Ponzi-scheme “economy” of inflated stock prices and corporate profits) seem poised to start delivering results for working families. All of this might strike us as more obvious if our news were not brought to us every night by millionaires and corporations. But the fact is that decades of experience with a social-democratic system of ameliorated capitalism beginning with FDR has shown itself wholly incapable of giving us an economy that does what it is designed to do—to meet human needs and allow for the integral development of each and every member of our society. Not one person should have to experience the degradations of poverty in the richest country in the world, but at the very least this should be true of children. The moral state of this country challenges us all to think about what a workable alternative would look like.